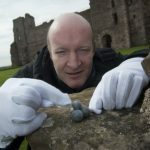 As well as caring for over 300 properties across the country, we also look after the associated collections, which reveal a great deal about the properties as well as containing important insights and stories of their own. Recent conservation and redisplay work at Dundrennan Abbey has highlighted an example of a well-preserved stone effigy with a remarkable story to tell. Situated in an attractive river valley a few miles from Kirkcudbright in Dumfries and Galloway, Dundrennan Abbey is considered to be one of Scotland’s most picturesque abbeys. It was founded in the mid-12th century and for over 400 years it was home to a community of the austere Cistercian order. 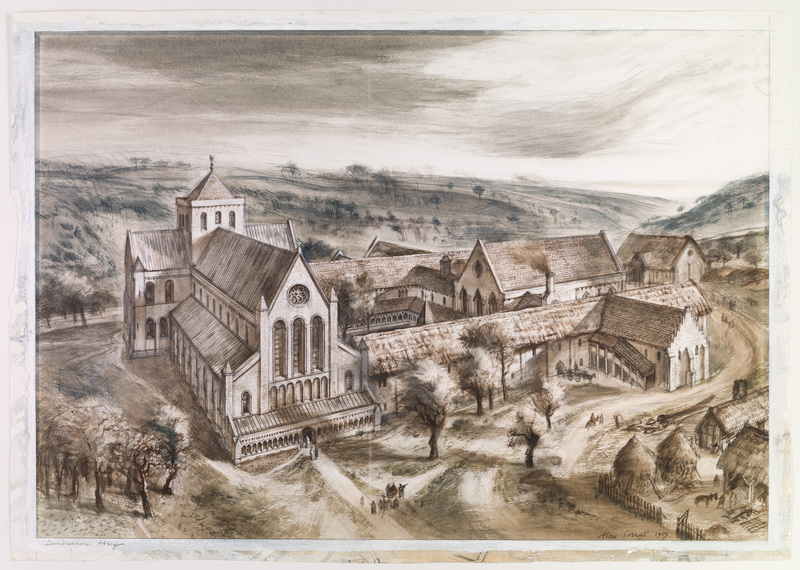 Although monastic life ceased here in the 16th century, the abbey’s ground plan is still largely complete, allowing us to understand the range of buildings and spaces involved in the everyday lives of the monastic community. Some fantastic architecture survives, especially in the church and in the chapter house. There is also an important group of grave memorials here, commemorating abbots and other noteworthy members of the local community. 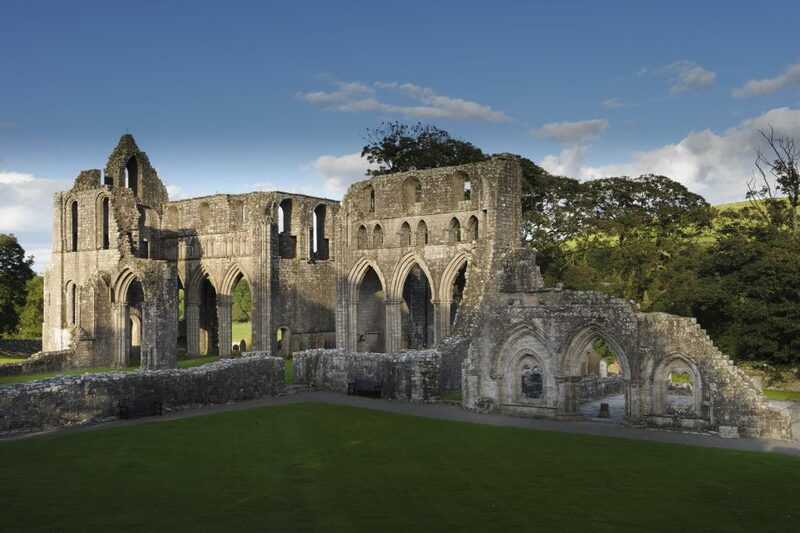 One of this great abbey’s functions was as a burial place for members of the community and for local dignitaries. Among the numerous fragments of carved stone discovered at the abbey during conservation and excavation work over the past 200 years or so is a highly important group of memorials. Some of these are now displayed within the abbey’s church. In order to ensure their future preservation, some of these important memorials have been carefully conserved in recent years by our dedicated team of applied conservation specialists. An important carving currently undergoing conservation treatment is a grave memorial depicting the effigy of an unknown abbot. This large slab would originally have covered a tomb chest. In the carving, the abbot is wearing his monastic habit and he is holding a crosier (an important symbol of his office) across his body with his left hand. His right hand is placed over his chest, and a small dagger is shown alongside, penetrating his chest. 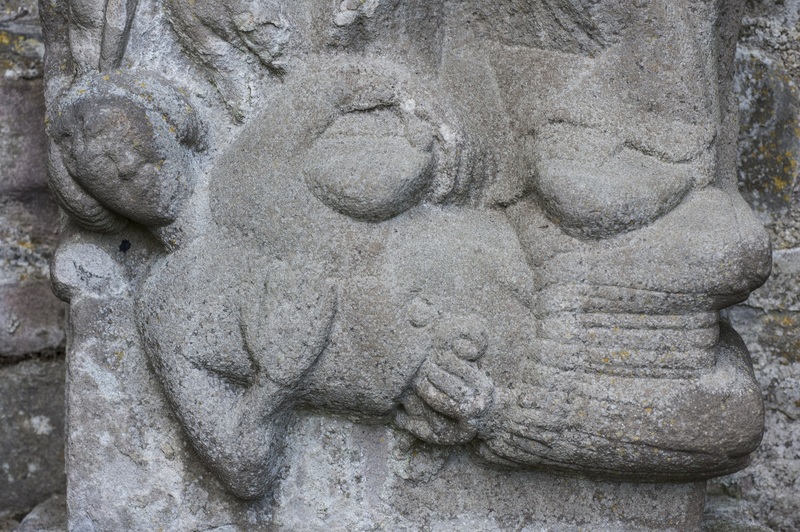 At the abbot’s feet lies a much smaller figure, wounded by a large gash below the waist. The pointed end of the abbot’s crosier rests on this smaller figure’s head. 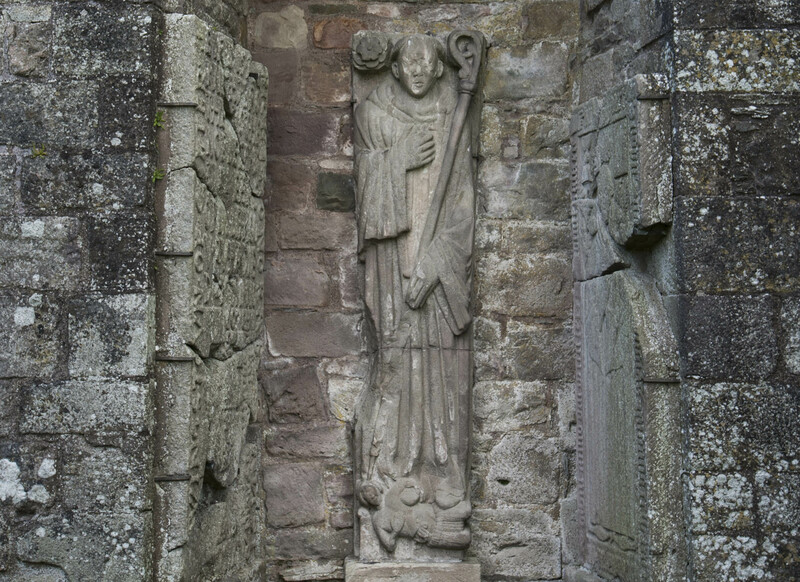 It seems possible that this memorial commemorates an abbot of Dundrennan who was wounded or assassinated, the small figure at his feet representing his assailant. The symbolism is rather poignant, the scene depicting the abbot as triumphant over his assailant in perpetuity. The effigy will be returning to the abbey later this summer following conservation, where it will be taken to the stone store to protect it from the elements. A resin replica will be put up in the memorial’s current location so visitors can admire it until the original effigy will be on display. This effigy is just one of over 1,000 fragments of carved stone found at Dundrennan Abbey and managed by our Collections Team. This important group of objects, much of which is on display, includes fragments of stonework from vaulted spaces such as the chapter house, for which it provides important evidence for the form of the fine vaulted ceiling. There are also fragments of window tracery and of the mouldings around doorways, windows and arches. Find information on how to visit the abbey on our website. If you cannot make it there, have a look at some of the curious items in our collections. And people say my interest in gravestones is weird. This kind of story is exactly what makes it fascinating. Very beautiful place! Nice shot!